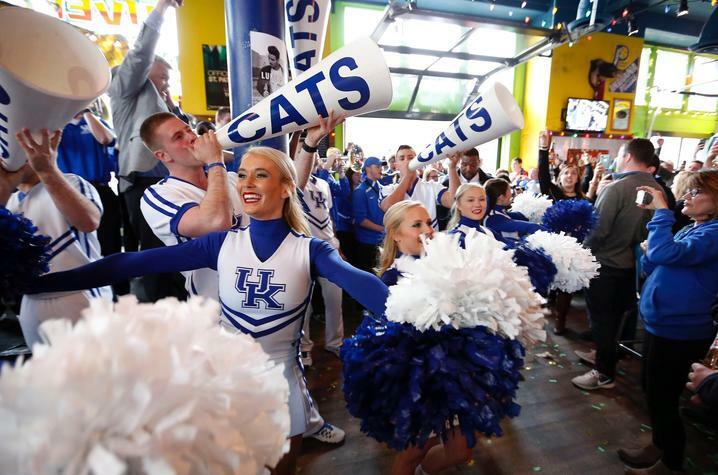 UK Alumni Association invites Cats fans to cheer on the team in Nashville. LEXINGTON, Ky. (March 13, 2019) — Heading to Music City for the Southeastern Conference Tournament this weekend? Then join the University of Kentucky Alumni Association and Greater Nashville UK Alumni Club for a pregame event at 2 p.m. CDT Friday, March 15, at the Wildhorse Saloon, 120 2nd Ave. North, in Nashville. The program will include performances from musical guests Jamie Saylor, A Common Wealth Band and Hannah Ellis. The UK Pep Band, cheerleaders and dance team are scheduled to perform at approximately 4 p.m. CDT. The cost is $10 for members and students who preregister and $15 for nonmembers and walkups. Children under 12 are admitted for free. Food and drink will be available for purchase. All proceeds benefit the Greater Nashville UK Alumni Club. Also, a clear bag policy will be in effect for this year’s tournament games. See more on the policy at SECSports.com/Security.